We offer our Ripcord as a frameset for the parent wants to build the ultimate kids bike. The 44mm headtube allows you to run any configuration of steer tube and even though the front wheel is 24" we designed the geo around the axle to crown of a 26" fork so you have way more options for spec'ing a great air fork. 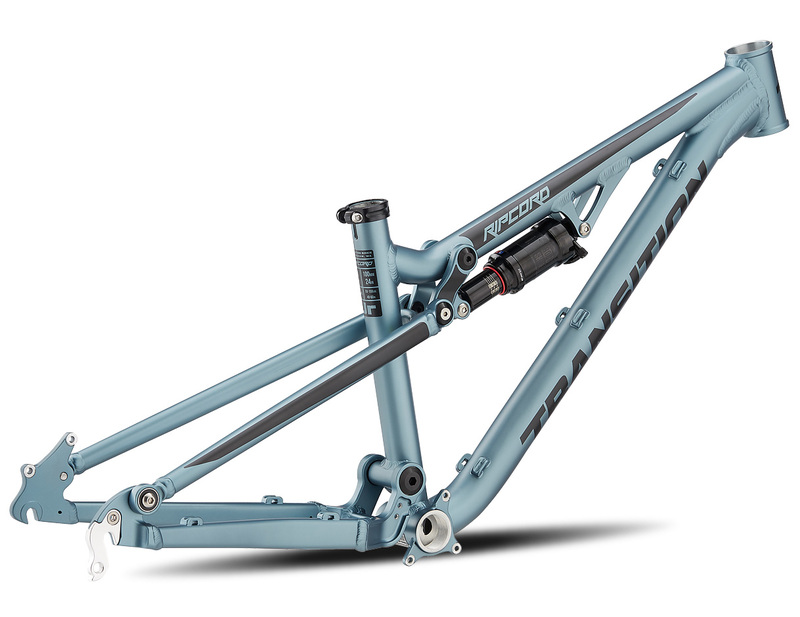 Rear suspension is handled by a RockShox Monarch that you find on adult bikes that offers easy air setup and excellent small bump sensitivity for lighter riders. Disc brake cable routing is standard as is a 31.6mm seatpost in case you want to add a dropper seatpost. With careful attention to spec, you can build a lightweight shredder of a bike that your kid will have fun on almost any trail. We designed the Ripcord to progress with your child as they push their limits and enjoy the mountains. The good news is that the Ripcord only comes in one size so you don't have to worry about finding the right size. Ideal height range starts at 3'8" and goes up to 5' with the ideal height being right in the middle around 4'4"-4'6".